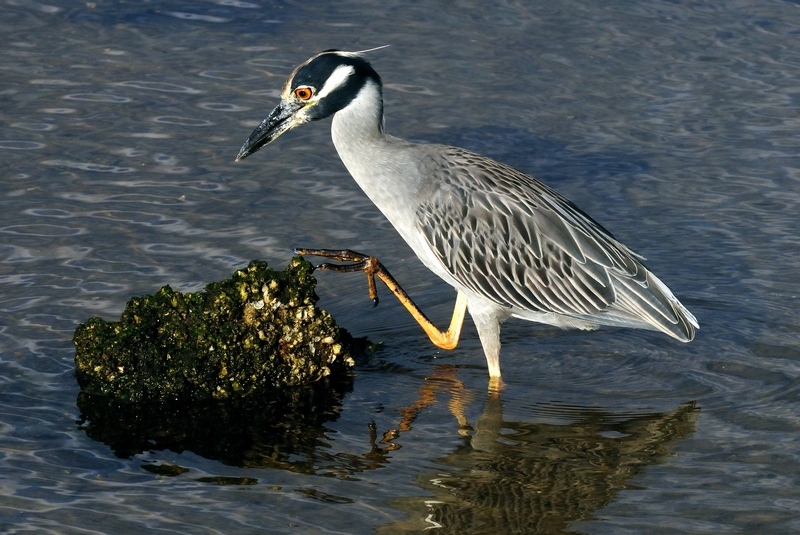 These are attractive little herons that would barely come up to the knees of a Great Blue Heron or Great Egret. They may be seen at anytime but are most commonly out in the evenings and early morning. I found the little one on the left this morning as I started back from Ponce Park. When young, they are a uniform mottled grey as seen in the left photo. Adult plumage is a bit more striking with the creamy yellow crown and soft grey belly. They are great crabbers and will stalk the shallows for Blue Crabs for hours. Tech Data: The left photo was taken with the D300 and Nikkor 70-300mm VR at 145mm. 1/50th at f5.0. The VR was definitely helpful as was a good elbow brace on the nature trail railing. The right photo was taken with the D300 and Nikkor 70-200mm f2.8 VR-I 1/800 at f14. 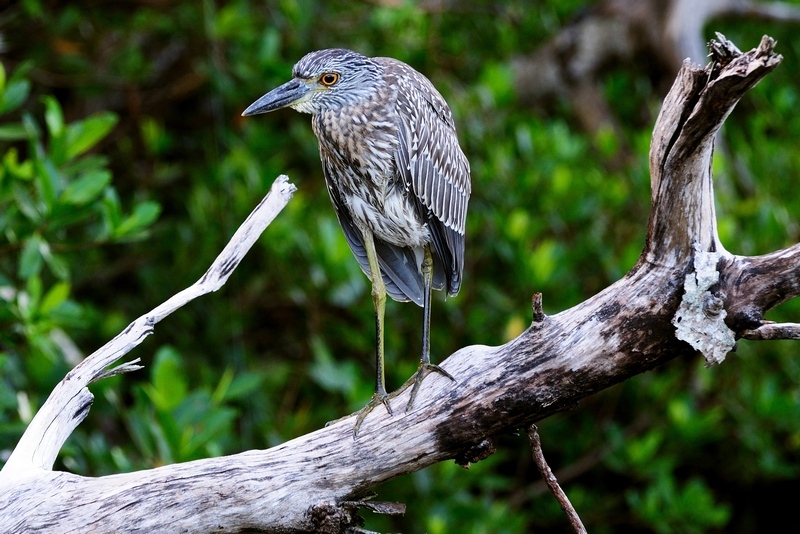 This entry was posted in Bird, Park, Park - Ponce de Leon and tagged Photography, Ponce de Leon Park, Yellow-cerowned Night Heron. Bookmark the permalink.